As we've talked about quite a lot over the past couple of years, the fall of BlackBerry has left a void in the enterprise space, and a number of companies want to take advantage of that demand. 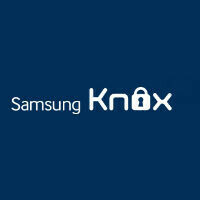 One of the sweetest opportunities available is always something connected to the US government, and Samsung has gotten a big boost by having its Knox software suite approved by the Department of Defense (DoD). To be clear, this does not mean that Samsung and the DoD have a deal in place, or that the DoD has placed any orders for Samsung devices. But, Samsung has announced that the Galaxy S4, Galaxy S4 Active, Galaxy Note 3, the Galaxy Note Pro 12.2, and the Galaxy Note 10.1 2014 Edition have all been approved for the U.S government's Defense Information System Agency (DISA) products list. All of the approved devices are running Android 4.4 with Samsung's Knox software included. If the government does move forward with Samsung on a deal, this would mean that the approved devices could be used by the DoD or other federal agencies on unclassified networks. No doubt, Samsung is pushing hard for that deal right now, but there has been no announcement on that front yet. Good luck with that. ARM's trusted zone CPUs use separate sections of privileged memory to store encryption keys and certificates that not even kernel root can touch. The vulnerable parts of it can be hacked, but since there is such little to target, finding weaknesses is getting next to impossible. You have got to be the most naive person I have ever seen on here. 3 years running now, and no one can defeat the signing of apple's ios on their iphones with the iphone4s and up. The most they can do is jailbreak temporarily. "You have got to be the most naive person I have ever seen on here." You are really shortsighted. If someone were to break trusted zone, that's means breaking RSA validation, aka, the web would be an insecure mess. Is that what you want? Go ahead. Find a bootloader exploit for Motorola phones. Try it. They closed the only hole a year ago. Knox relies on a secure bootloader. And if it finds non signed code you are flagged and refused entry for your business apps. You had me at Motorola bootloader. Yea, anything man made can be hacked...but some things are easier than others. If Moto didnt allow some phones bootloaders to be unlocked...we would still have messy work arounds for custom ROMs. Even then I dont think custom kernels were possible with the bootloader work around. h*ll yeah. get rid of those old squeaky blackberries. I wish Samsung had designed KNOX to be an option for the Department of Defense and not standard for the 95% of us who don't need it and/or don't want it. FYI, Samsung locks down the bootloader on many of their KNOX phones, no matter if you activate/use the KNOX container or not. Basically the "security package" should be something optional and available piecemeal. For example, maybe I want to use KNOX and root my phone. They should not be mutually exclusive as they are on many Samsung KNOX phones. With a set of individual security options, The DoD can choose max security and others can choose what they want for their needs.